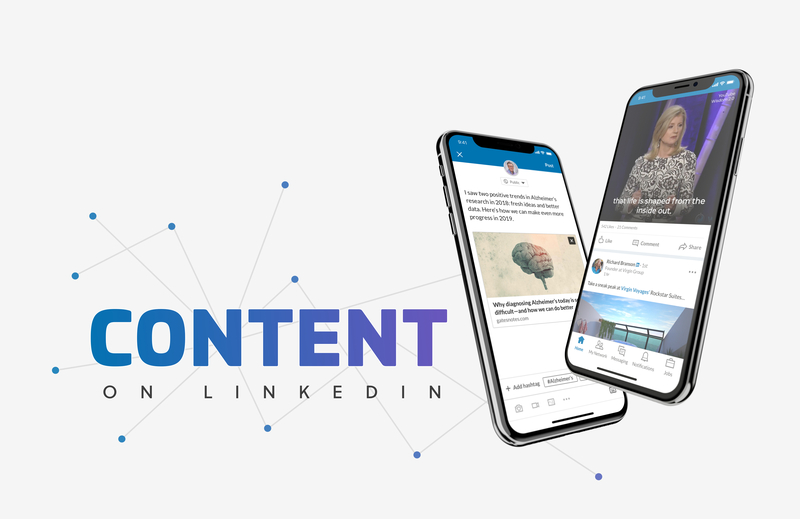 To drive more meaningful engagement among LinkedIn members, we set out to build a robust content ecosystem where content creators and consumers could come together, share ideas and actively engage with their professional communities. I led a team of ten across San Francisco, Sunnyvale and New York. Together, we continued to optimize our core sharing and feed experiences, while helping creators better express themselves through more content formats and making the feed more relevant by extending the follows graph beyond just people. To better position my team, I focused on a few strategic initiatives to ensure alignment in the bigger picture and promote cross-team collaboration. 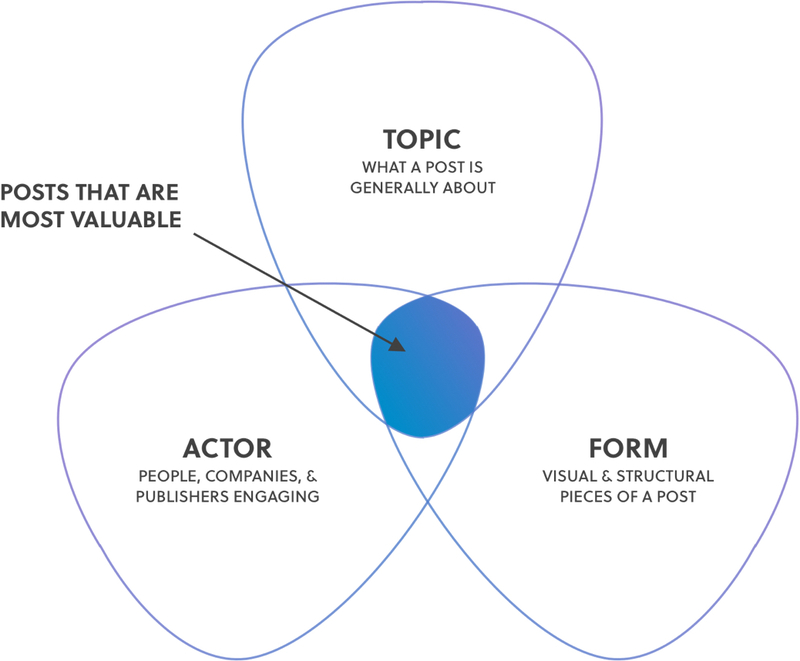 Mapping out the content life cycle helped us identify existing areas of investment and major gaps in our product offering. Design principles ensured focus in the experiences we created. 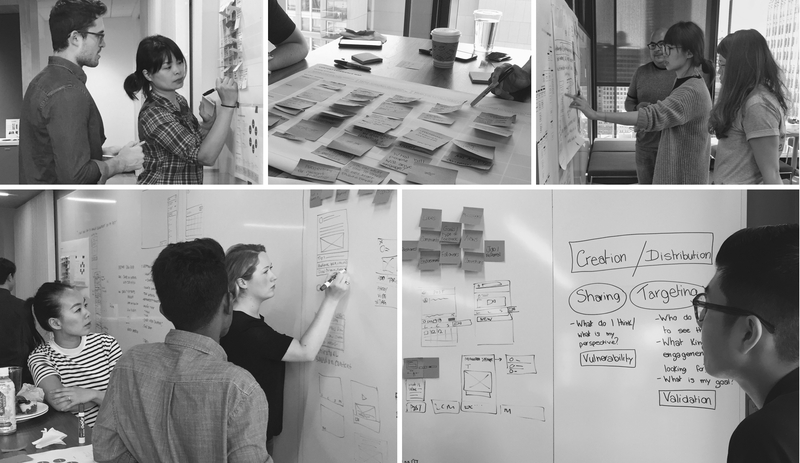 I brought the team together in a full-day design workshop to gain alignment on the overall vision of the content experience, provide context to individual product areas, and foster collaboration across teams. 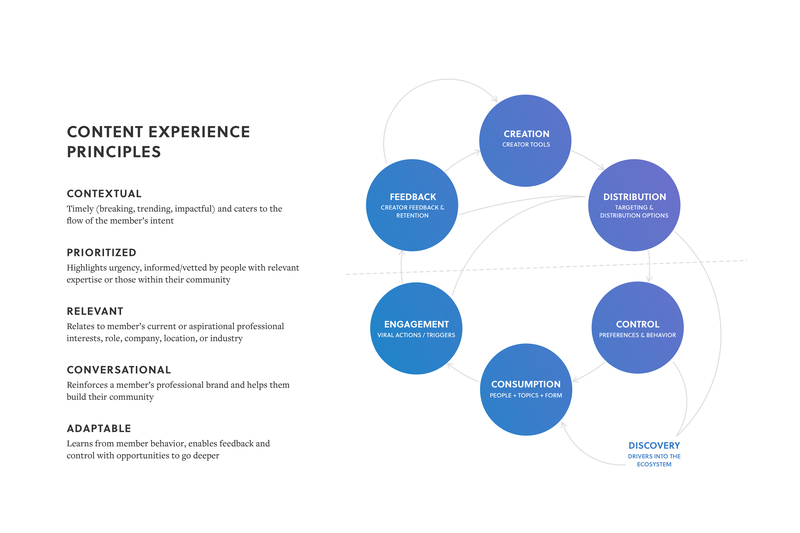 Here are just a few samples of project wins within the Content Experience team born out of the renewed alignment and focus. 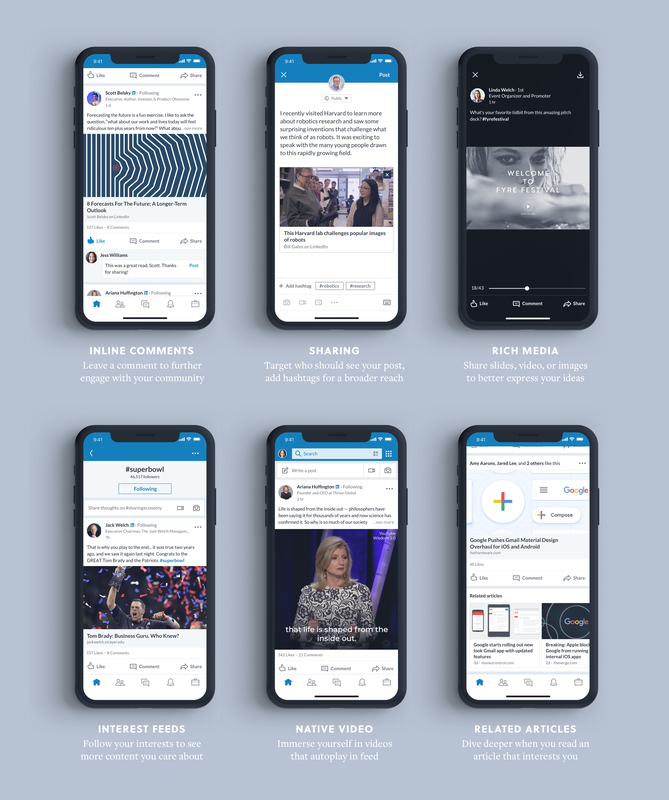 Many of these initiatives were directly responsible for a steady and substantial growth on the platform—a 20% increase in content consumption and a 60% lift in engagement via comments, likes, and shares. Growth aside, this is all still a work in progress. Our ultimate vision is to evolve the ecosystem to help LinkedIn members engage with their communities and find what they value most: belonging, helpfulness, empowerment, and fulfillment.